More than $11 trillion in personal wealth was lost during 2008 and as a result luxury marketers like Mercedes-Benz, are rethinking their strategy towards marketing to affluent customers, according to Mercedes-Benz USA vice president of marketing, Stephen Cannon, who talked about the automaker's new strategy at International Advertising Association (IAA) this week. In much the same way that consumers are being more selective in their consumption, Mercedes Benz USA is being more selective about how it spends its marketing dollars and has done "spring cleaning" within its marketing portfolio in favor of "fewer, better things." Cannon explained that significant changes have been made in its events portfolio, culling out some sponsorships while realigning others, resulting in a higher return on investment for marketing events. The company's events sponsorship revolve around concours events (Amelia Island, Pebble Beach), sports marketing (PGA) and fashion (Mercedes-Benz FashionWeek) all of which highlight brand values and have strong lifestyle intersects with Mercedes buyers. "All in all," Cannon said, "This careful culling means that at a time when many marketers are cutting back on their marketing spend, we're as visible as we've ever been. The increased visibility builds confidence with our dealers - the front line people as far as our customers are concerned -- who are enthusiastic that we are on offense when so many in the industry are playing defense. "At the end of the day, it comes down to using the crisis as an opportunity to hone and build on what is at the heart of any luxury enterprise," said Cannon. "Strengthening the brand, building up the rapport between the customers and the brand, and communicating the brand attributes that motivate people to buy." 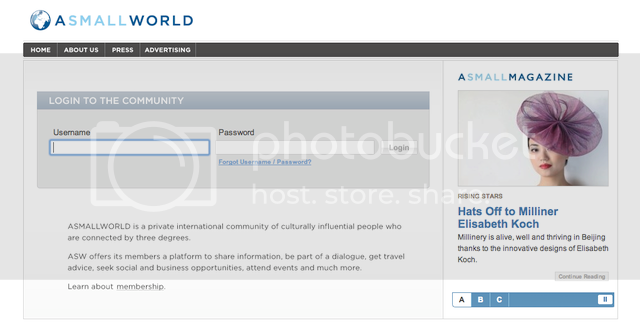 Mercedes-Benz is taking this strategy online as well with experiential efforts aimed at exclusive niche social networks like asmallworld.com. As an example, the automaker allows some ASMALLWORLD members to test drive cars at their SLR racing school, in an effort to drive buzz around affluent influencers. In today's environment, more luxury marketers are looking for influencers to lead the conversation Dennis Dwyer, ASMALLWORLD's VP of Sales told brand-e.biz. “You want members to do that themselves, which comes as a result of experiential marketing,” Dwyer said.